After Ronald Tuttle was indicted by a federal grand jury on four counts of “various crimes related to the importation and distribution of 3,4–methylenedioxypyrovalerone (MDPV)”, he moved to suppress “evidence relating to e-mail communications and other evidence obtained by law enforcement agents who assumed Turtle's on-line presence on or about February 19, 2013.” U.S. v. Tuttle, 2014 WL 3695475 (U.S. District Court for the Western District of New York 2014). called [Tuttle] and asked [Tuttle] if he would be willing to let him `assume his online identity so we can further investigate the supplier of MDPV in China.’ . . .[Tuttle] agreed, and the parties agreed to meet in a shopping plaza parking lot a few days later, on February 19, 2013. During that meeting, in which Zabawa, Kosich, [Tuttle] and O'Dell were present, Zabawa again told [Tuttle] law enforcement wanted to assume his online presence. Zabawa asked [Tuttle] if he would be willing to provide his account name and passwords, and [Tuttle] verbally provided that information. Zabawa wrote down the passwords and account information on the consent form. Zabawa read the consent form to [Tuttle], and asked him if he understood what he was allowing law enforcement to do. Specifically, Zabawa asked `do you understand that, you know, you're allowing us to, you know, go through your e-mails and to send an e-mail and assume your online presence?’ and [Tuttle] replied, `Yes, I understand that's what you guys are going to do.’ . . . Zabawa said, `if you understand that, please -- and you acknowledge it, sign the form, print it and put the date and time.’ . . .
[Tuttle] signed and printed his name, the date, and the time on the form. Zabawa testified that there were no threats or promises made to [Tuttle] to obtain his consent. Zabawa finally told [Tuttle] he would call him if they had any questions, and the meeting ended. on February 19, 2013 when they met with law enforcement. O'Dell testified that when they arrived at the parking lot, law enforcement asked [Tuttle] for his password and screen name. She further testified that [he] was told that if he didn't provide the password, `there was going to be bigger problems’ and [Tuttle] could be arrested right then and there. . . .
She testified that Zabawa then gave [Tuttle] the consent form and `asked [him] to fill it out,’ and [Tuttle] signed the form. . . . O'Dell testified that neither [Tuttle] nor Zabawa read the consent form, and that it was [Tuttle] who wrote his e-mail address and password on the consent form. . . . O'Dell was shown the consent form, and she testified that she recognized [Tuttle]'s handwriting, and that the account name and password on the consent form were indeed in [his] handwriting. . . .
received a phone call from Zabawa a few days before February 19, 2013, where Zabawa told him he wanted to take over his e-mail account. [Tuttle] said Zabawa told him that he `can get somebody down there to bring you back up here and put you under arrest if you don't turn over this e-mail to me.’ . . .
During the February 19, 2013 meeting, [Tuttle] testified that he asked Zabawa what would happen if he didn't turn over his e-mail account, to which Zabawa replied `I could put you in the car right now and arrest you.’ . . . [Tuttle] said Zabawa had him fill out the consent form, and sign it. He testified that he did not read the form, and . . . felt like he would go to jail unless he complied. . . . When asked who wrote the password and account name on the form, [Tuttle] could not recall who filled it out. . . . When [Tuttle] was shown the consent form, he confirmed that the document contained his signature, that [he] printed his own name, the date and the time. . . . The judge then noted that if Zabawa’s account of these events was accurate, it would establish Tuttle’s “knowing and voluntary consent” to the agents’ using his online identity. U.S. v. Tuttle, supra. That is significant because the agents’ using Tuttle’s online identity constituted a “search” under the 4th Amendment and, as I have explained in prior posts, consent will satisfy the 4th Amendment’s requirements only if it was given voluntarily. Wikipedia addresses that, as well. On the other hand, if Tuttle’s version of what happened (buttressed by O’Dell’s version of events), then his consent “was coerced and therefore involuntary.” U.S. v. Tuttle, supra. It if was not voluntary, the search violated the 4th Amendment and the evidence obtained would have to be suppressed. In this opinion, the District Court Judge is reviewing a Report and Recommendation he received from a U.S. Magistrate Judge, to whom he referred the matter for a hearing and the drafting of an opinion deciding whether the motion to suppress should be granted or denied. U.S. v. Tuttle, supra. The Magistrate Judge found that Tuttle’s motion to suppress evidence obtained as a result of the agents’ assuming his online identity should be denied because “she determined Zabawa's testimony to be credible, and found the testimony of [Tuttle] and O'Dell to be less than credible.” U.S. v. Tuttle, supra. He then challenged her “credibility determination”, asking the District Court Judge to reject her finding and grant the motion to suppress. U.S. v. Tuttle, supra. In reaching that conclusion, the Magistrate Judge noted, among other things, that at the hearing on Tuttle’s suppression motion, Zabawa testified that (i) “Tuttle never indicated at or prior to the meeting that he did not want to cooperate or wanted to consult an attorney” and (ii) “the agents made no promises or threats to Tuttle to induce him to sign the consent form.” U.S. v. Tuttle, supra. Otherwise, she essentially relied on the facts outlined above. is determined based upon the totality of the circumstances. Schneckloth v. Bustamonte, supra. 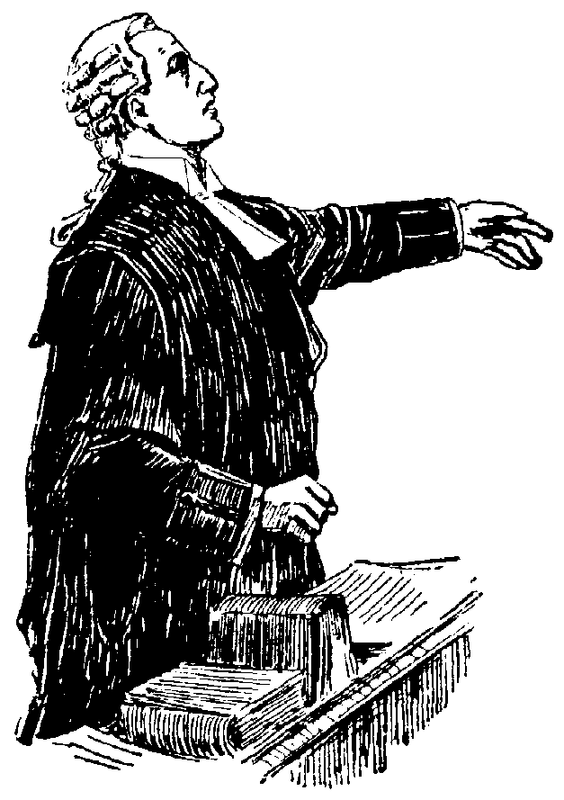 Among the relevant considerations are: age, education, background, physical and mental condition, the setting in which the consent is obtained, whether Miranda warnings are administered and whether the individual has knowledge of the right to refuse consent. . . .
`Consent must be a product of that individual's free and unconstrained choice, rather than a mere acquiescence in a show of authority.’ U.S. v. Wilson, 11 F.3d 346 (U.S. Court of Appeals for the 2d Circuit 1993), . . . and the fact it is obtained while the individual is in custody does not render it involuntary. . . . The government bears the burden of establishing by a preponderance of the evidence that the consent was voluntary. U.S. v. Isiofia, 370 F.3d 226 (U.S. Court of Appeals for the 2d Circuit 2004). [c]onsidering the totality of the circumstances, I find Turtle's consent to allow the agents to assume his online presence was voluntary. In doing so, I find credible the testimony of Zabawa, which establishes that neither he nor [Agent] Kosich threatened Turtle with arrest to induce him to provide account information and sign the consent. Having heard their testimony, I find that O'Dell's and Tuttle's contrary testimony is not credible. first consented verbally to the agents' adoption of his online identity to further the investigation during a telephone call preceding the February 19 meeting. Zabawa's testimony establishes that during the call Tuttle was informed he did not have to cooperate, but his cooperation would be reported to the [U.S. Attorney’s Office]. Tuttle agreed to the agents' use of his online identity, remarking, `anything [I][can] do to cooperate.’ . . .
During the February 19 meeting, which Tuttle attended voluntarily, he reaffirmed his decision to cooperate with the agents. During the meeting, Zabawa read the consent form to Tuttle and inquired whether Tuttle understood the form. In response, Tuttle provided his passwords and account information and confirmed that he understood the form. Tuttle signed the form below a printed statement acknowledging that his consent was freely and voluntarily given. He appeared coherent and not intoxicated at the time. Neither before nor during the approximate twenty-minute meeting did Tuttle indicate that he wished to consult an attorney. Under such circumstances, I find Tuttle's consent was voluntary, and I recommend that the district court deny Tuttle's motion to suppress any evidence obtained as a result of the agents' assumption of Tuttle's online presence. no basis to disturb Magistrate Judge Payson's credibility determinations, and based on that determination and the totality of the circumstances, this Court concludes, as did Magistrate Judge Payson, that the government has met its burden of establishing that [Tuttle] voluntarily consented to having law enforcement access his e-mail account and assume his online identity. U.S. v. Tuttle, supra. The judge therefore denied Tuttle’s motion to suppress which, among other things, means the prosecution will go forward. U.S. v. Tuttle, supra. This is the latest of a few opinions I have run across that involve the “consent to assume online presence.” If you would like to read about the others, check out this prior post and this one, also.